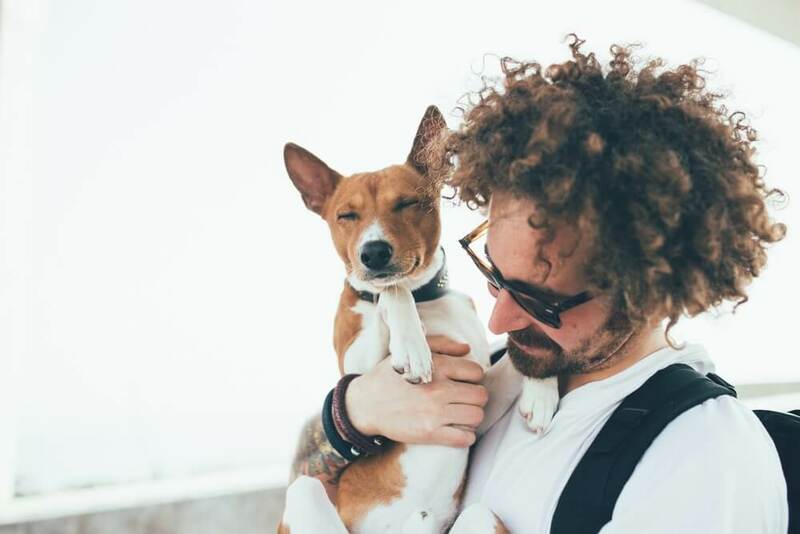 InsuranceFundi | Why is it important to have pet insurance? Do you have a cat or dog? Is it costing you an arm and a leg in vet bills? Pay a small monthly contribution towards a health insurance plan and sleep easy. I decided on the latter and in this blog post, I’m going to tell you why I decided to go with the guys at One Pet Health Insurance. First off, their contributions are affordable. Sure, I’m looking to minimise the risk of expensive Vet bills, but I’m also not looking at breaking the bank. Like you, I’ve got a stack of insurance policies which cost me a bundle every month, so before I insured the pooch, I needed to make sure I can see real value in the product. For most pet owners out there, the first question they would be asking themselves is: How much does pet health insurance cost? Let’s have a closer look. The important thing to note with the One Pet Health Insurance Hospital Plan is that it doesn’t cover visits to the Vet. If your pooch needs to go for a routine check-up, that needs to come out of your own pocket. So when would you opt for a plan like this? When you are comfortable that you can self-fund routine Vet visits and you only need cover for major medical emergencies, resulting from accidents or illness. A quick glance at the diagram above shows you that if you opt for the Classic Plan, the following two benefits are included, that aren’t available on the Hospital Plan. Now here is something to consider – If you had one pet on the Classic Plan, your annual contributions would amount to R2,748 (R229 pm x 12 months). But you are entitled to 4 vet visits at R1050 per visit. A quick calculation would confirm that if you took your pet to the Vet 3 times a year, at an average visit cost of R1,000 you would have been better off being on the Classic Plan than paying the money out of your own pocket. is it not worth my while to opt for a health insurance plan that covers these visits and which includes R28,000 for accident & illness cover? Run the numbers in your head and it’s pretty easy to work out if you need to be on the Classic Plan. R44,000 for accidental and illness cover. The overall maximum annual limit for this is R60,000. Complementary treatments for e.g. acupuncture, hydrotherapy etc. Do Waiting Periods & Excesses Apply? Three month waiting period will apply from the Inception Date. An excess of 25% of the claim will apply from month 4 to month 6. An excess of 10% of the claim will apply from month 7 and thereafter. We will not cover hospitalisation due to alcoholism, drug abuse, drug addiction, attempted suicide or self-inflicted injuries…Please tell your dog! Your pet must be booked into a registered kennel/cattery and you will need to provide proof of receipts. We will require proof of hospitalisation i.e. hospital account. If your pet is being looked after by someone, not living with you, while you are incapacitated, we will pay an amount of R50.00 per day for a maximum of 14 days. There is a three month waiting period from the inception date. One month waiting period from the date of inception. Only medical expenses e.g. vaccinations, deworming drugs, etc. related to the medical treatment of your pet will be covered. Costs for accessories e.g. food, beds, toys, leashes etc. will not be covered. You will need to provide us with a detailed invoice in order to validate your claim. This cover may not be used in conjunction with any other cover in this policy schedule and any claims related to this cover will be considered one event. Your pet will have an amount of Rx per visit for vet consultations, radiology, pathology and prescription food, dental procedures (limited to one event per year). Forms part of the overall annual limit. For prescription food claims, you will need to provide a motivational letter from your vet and your pet must have been diagnosed with a condition for an event that has been claimed for under this cover. This cover may not be used in conjunction with any other cover in this policy schedule. Can You Take Out An Excess Buster To Waive The Excesses? Yes, for R35 per month per pet, you can take out the extender benefit which waives the excesses on policy. Good morning I like this. I Lost my dog 2 years ago. I do not have any new one. still need to buy one. I will consider this offer as I get my own. thank you very much. So a dog is not only “a man’s best friend” but also “a ladies best friend”!